From the youngest age, I learnt all the basic truths about God and the Holy Bible. About the Holy Trinity, God the Creator, His Son Jesus our Redeemer, the Holy Spirit and how He’ll help us, all those beautiful old stories in the Bible from Bible times, the importance of honesty and virtue, the parables of the Lord Jesus, the importance of tithing and giving, the Generosity and Grace of God, the parable of the Good Samaritan and how we should help our fellow-man, the great men and women of God in the Bible – Moses, Abraham, Sarah, Mary the mother of Jesus, Joseph Christ’s father, how Christ was a humble carpenter, and so on. My life was filled with these truths and stories from the youngest age, and I thank my parents, grandparents, Sunday School teachers, Bible Class teachers and Boy Brigade leaders for that. With the Holy Spirit’s help, we can be teachers to our children like this. My wife Michelle and I have two young boys. This is my second marriage, and Michelle’s first.Michelle has a 16-year-old daughter. 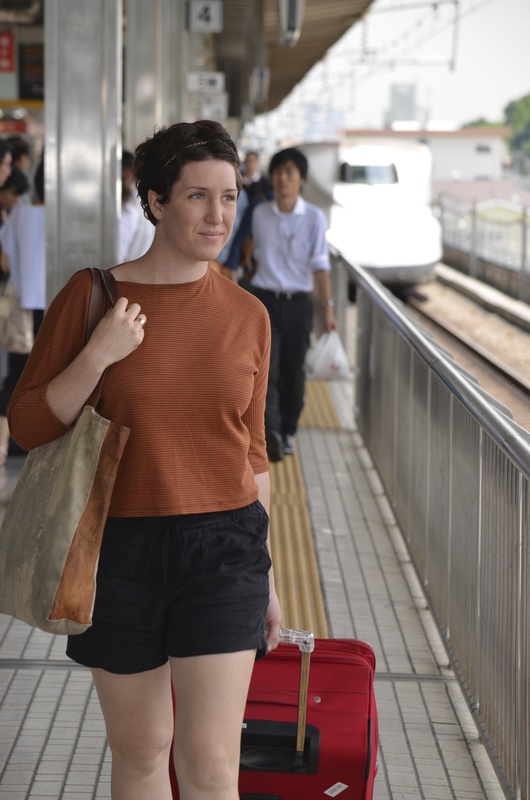 Michelle stepping out to catch the shinkansen (fast train) in Japan in 2013 on our honeymoon. 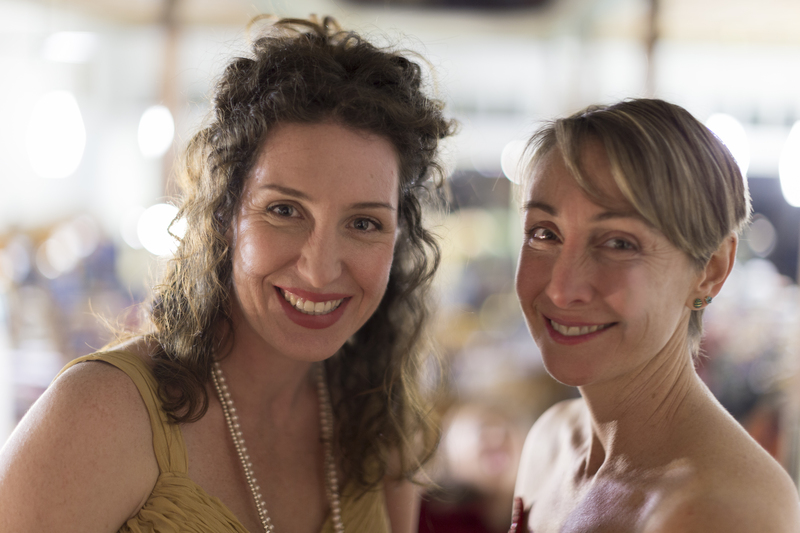 My wife Michelle (left) at an Opera performance she gave in our town Bellingen, Northern Rivers New South Wales, Australia in 2016. 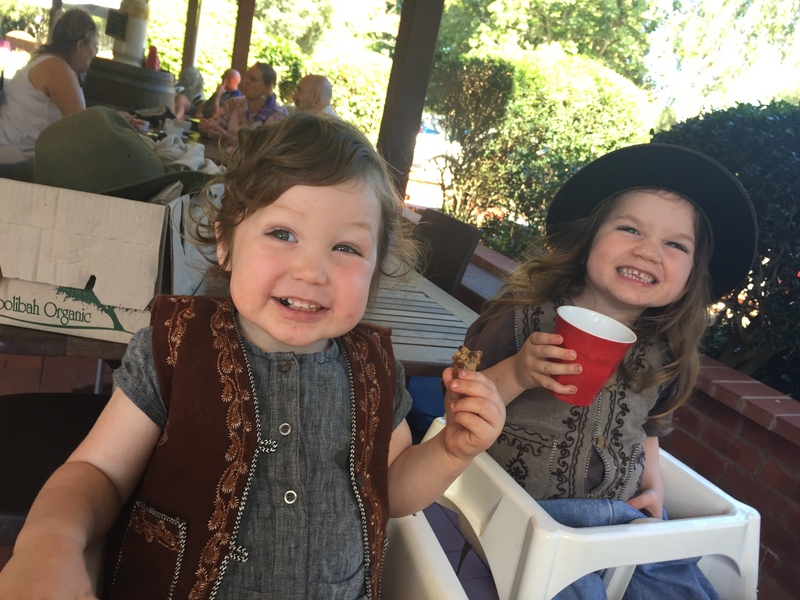 Children, so young like our two boys, are very sensitive, innocent and open to new knowledge and the Christian gospel. This is the age when we should start imparting Bible truths to children. Even from the cradle. Reuben and Raphael love to pray and to say grace at mealtimes. Sometimes their prayers can be quite random. Its interesting what goes on in a child’s mind. My boys love drawing, playing with lego and playing with a vast assortment of quality toys, mainly wooden and natural, Michelle has assembled for them. We don’t watch television at all and deliberately have no TV reception on our remote farm. Instead we choose which DVDs the boys watch and are able to control and monitor what goes into their little minds. We don’t have any tablets, iPhones or similar for the boys. We don’t have video games. We don’t have plastic junk toys. The boys spend hours playing on the farm. Making up fantasy games. Picking up small branches from the ground and making up games. Stuff like that. In my childhood and prior, there was no television and no internet, and children turned out fine without them. My mother used to send me outside to play.